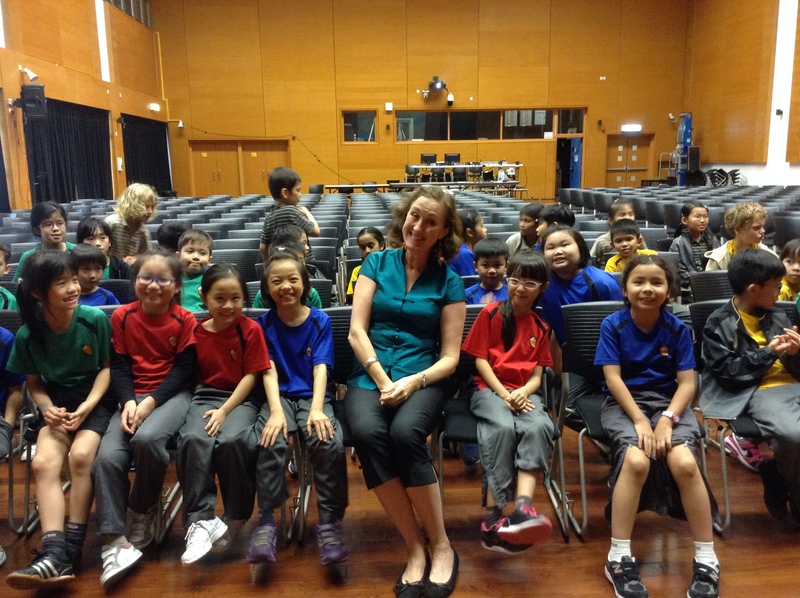 A fabulous Gallop at Renaissance College Hong Kong! The Dark Horse and I galloped in to Renaissance College for a fabulous day of story readings yesterday with the whole of primary school – but my Dark Horse had to take a little break as Chester Choi visited the little ones! 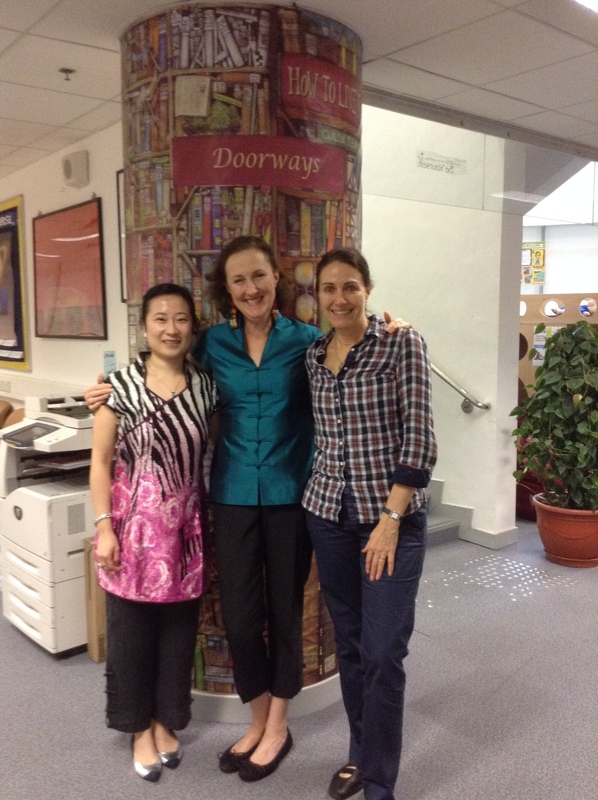 Thanks to my lovely hosts, librarians Shirley Chan (left) and Andrea Walker (right) – it was wonderful to see you again and thank you for the warm welcome! And here is just a snippet of my presentation in one of the sessions – thank you Jamie Schmitz for posting on Youtube! Hello! I’m from Renaissance College, and I’m in Year 6. I actually listened to you reading the book, too! I find the zodiac pretty cool, and I’m born in the Year of the Horse. That’s great Endria – glad you enjoyed it! Hope you have a very Happy Horse Year! Next year, I will be in Year 7, and I don’t think you would be reading your new books to the secondary students. I will miss listening to those funny stories!